Mick is a 16 hand Appendix. 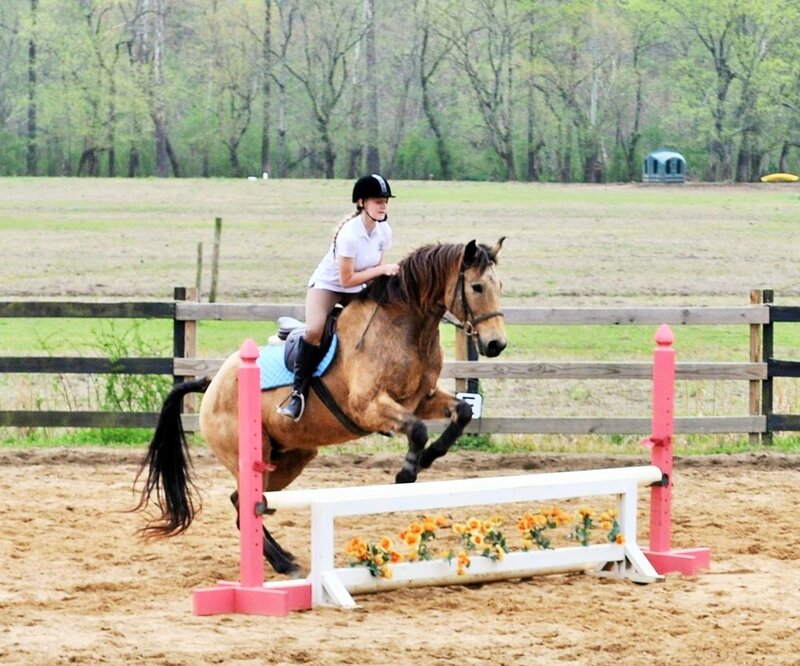 He's 18 years old and has been jumping 2’3 - 2’6. 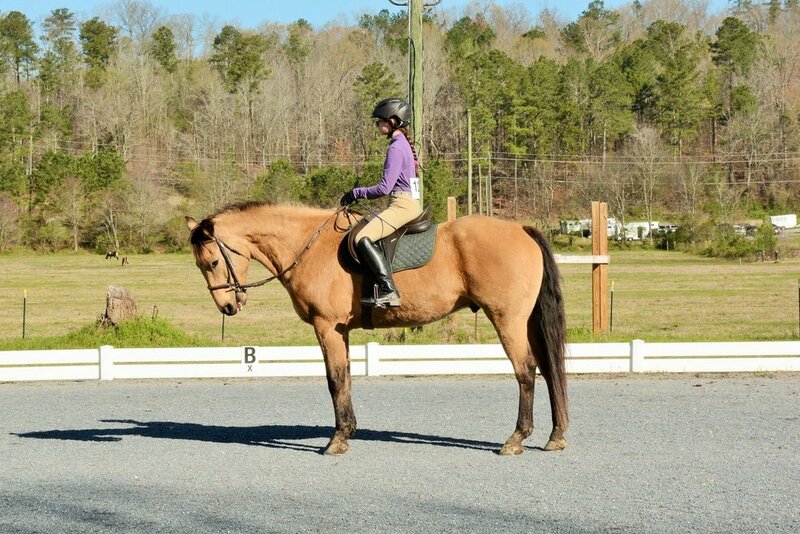 He has very smooth gaits and does well in dressage. 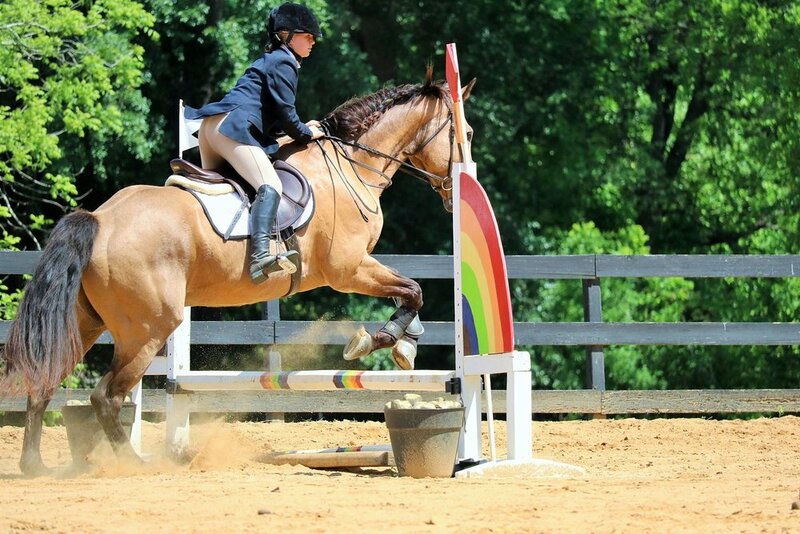 Mick is used mainly for intermediate to advanced riders because he can be stubborn at times. He loves to gives kisses and is owned by one of our boarders named Bernie. Mick used to lead trails rides, and he still likes to go out on the trails.